For the road toll in Dubai, United Arab Emirates, see Salik (road toll). 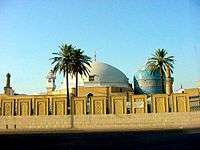 A sālik is also called murid when one becomes a disciple to one particular spiritual teacher (murshid) or a Sufi master. L. Levisohn, 'The Spiritual Journey in Kubrawi Sufism' in: Lawson (ed. ), Reason and Inspiration in Islam: Theology, Philosophy and Mysticism in Muslim Thought, 2006, ISBN 9781850434702, [books.google.ch/books?id=Bq9zSbNr8gIC&pg=PA364 364-379].